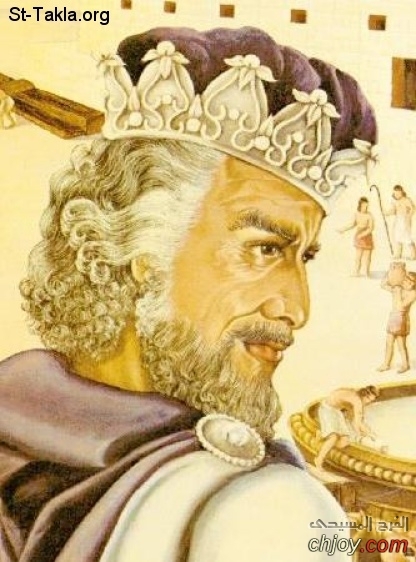 Answer: Solomon was the third and last king of the united kingdom of Israel, following King Saul and King David. He was the son of David and Bathsheba, the former wife of Uriah the Hittite whom David had killed to hide his adultery with Bathsheba while her husband was on the battle front. Solomon wrote the Song of Solomon, the book of Ecclesiastes, and much of the book of Proverbs. His authorship of Ecclesiastes is contested by some, but Solomon is the only “son of David” to be “king over Israel” (not just Judah) “in Jerusalem” (Ecclesiastes 1:1, 12), and many of the descriptions of the author fit Solomon perfectly. Solomon reigned for 40 years (1 Kings 11:42). What are the highlights of Solomon’s life? When he ascended to the throne, he sought after God, and God gave him opportunity to ask for whatever he wanted. Solomon humbly acknowledged his inability to rule well and unselfishly asked God for the wisdom he would need to rule God’s people justly. God gave him wisdom and wealth besides (1 Kings 3:4–15; 10:27). In fact, "King Solomon was greater in riches and wisdom than all the other kings of the earth" (1 Kings 10:23). God also gave Solomon peace on all sides during most of his reign (1 Kings 4:20–25). One common illustration of Solomon's wisdom is his judging a dispute over the identity of the true mother of an infant child (1 Kings 3:16-28). Solomon proposed splitting the living child in half, knowing that the true mother would prefer to lose her son to another woman than to have him killed. Solomon was not only wise in his rule but had great general wisdom as well. His wisdom was renowned in his day. The Queen of Sheba traveled 1,200 miles to verify the rumors of his wisdom and grandeur (1 Kings 10). "Solomon answered all her questions; nothing was too hard for the king to explain to her. When the queen of Sheba saw all the wisdom of Solomon and the palace he had built, the food on his table, the seating of his officials, the attending servants in their robes, his cupbearers, and the burnt offerings he made at the temple of the LORD, she was overwhelmed" (1 Kings 10:3–5). Solomon proved not only to be knowledgeable but to have put his wisdom into action in the way his kingdom functioned. Solomon wrote many proverbs and songs (1 Kings 4:32) and completed many building projects (1 Kings 7:1–12; 9:15–23). Solomon also built a fleet of ships and acquired tons of gold from Ophir with Hiram, king of Tyre, as a partner (1 Kings 9:26–28; 10:11, 22). Perhaps Solomon's most important building project was completing the Jewish temple per the instructions and provisions of his father, David (1 Kings 6; 1 Chronicles 22). Solomon had 700 wives and 300 concubines, many of them foreigners who led him into public idolatry in his old age, greatly angering God (1 Kings 11:1–13). First Kings 11:9–10 records, "The LORD became angry with Solomon because his heart had turned away from the LORD, the God of Israel, who had appeared to him twice. 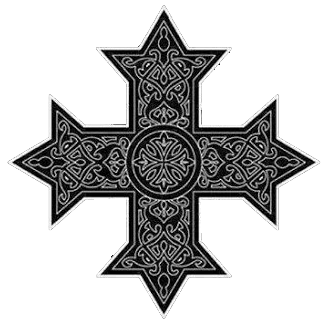 Although he had forbidden Solomon to follow other gods, Solomon did not keep the LORD's command." God told Solomon that he would remove the kingdom from him, but, for the sake of David, would not do so during Solomon's lifetime. He also promised not to tear the whole kingdom away. In the meantime, God raised up adversaries against Solomon who caused trouble the remainder of Solomon's life (1 Kings 11:14–25). Jeroboam, who would become the first king of Israel, also began to rebel against Solomon, but fled (1 Kings 11:26–40). The kingdom was divided under Rehoboam, Solomon's son (1 Kings 12). There are many lessons we can learn from the life of Solomon. First, when we seek God with all of our heart, He will be found (1 Kings 3:3–7). Second, those who honor God will be honored by Him (1 Kings 3:11–13; 1 Samuel 2:30). Third, God will equip us to accomplish the tasks He calls us to if we will rely on Him (1 Kings 3; Romans 12:3–8; 2 Peter 1:3). Fourth, the spiritual life is a marathon, not a sprint. A good start is not always enough to finish well (1 Kings 3; 11). Fifth, we can sincerely ask God to incline our hearts toward Him (1 Kings 8:57–58), but we will wander off the path of righteousness if we choose to violate His revealed Word. Sixth, those closest to us will affect our spiritual lives (Exodus 34:16; 1 Kings 11:1–8; Daniel 1; 3; 1 Corinthians 15:33), and we must therefore be very careful of the company we keep. Seventh, life lived apart from God will be meaningless, regardless of education, fulfilled goals, the greatest of pleasures, and the greatest abundance of wealth (Ecclesiastes 1:2).